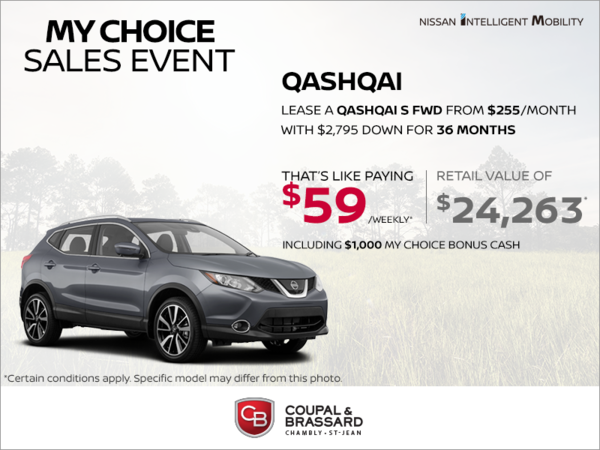 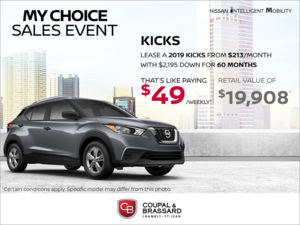 Lease the 2019 Nissan Qashqai starting from $59 weekly for 36 months with $2,795 down on select models! 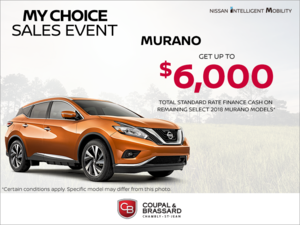 Or get it for the cash purchase price of $24,263. 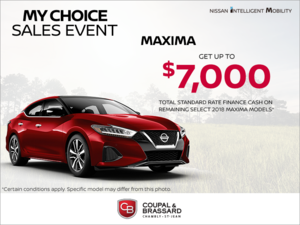 Including $1,000 My Choice bonus cash. 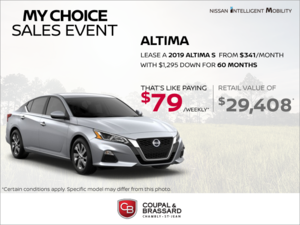 Offers available from April 2nd to April 30th , 2019. 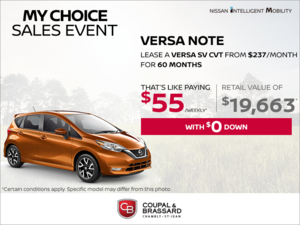 The lease offer is based on a maximum of 20,000 km/year (total allowance of 60,000 km for 36 months) with excess charged at $0.10/km. 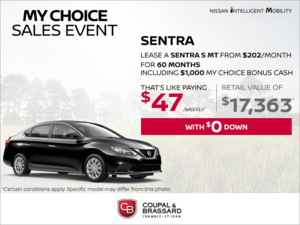 The first monthly payment and the down payment are due at lease inception. 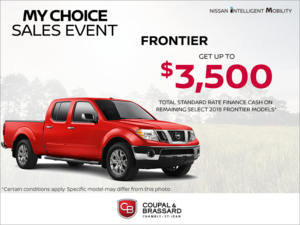 RDPRM registration fees and lien registering agent’s fees (up to $77 total) are extra and due at time of delivery. 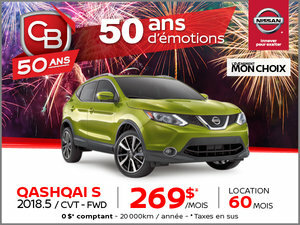 Licence, registration, insurance, specific duty on new tires ($15) and applicable taxes are extra and due at inception. 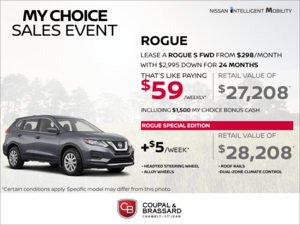 Offer is available on approved credit through NCF for a limited time. 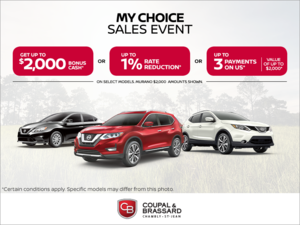 Offer subject to change, continuation or cancellation without notice. 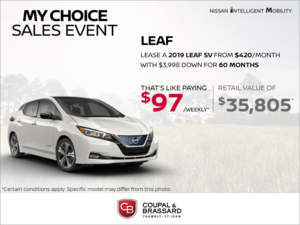 Retailers are free to set individual prices. 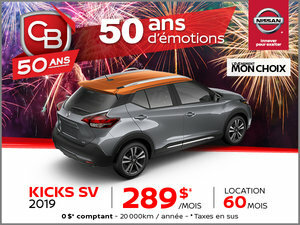 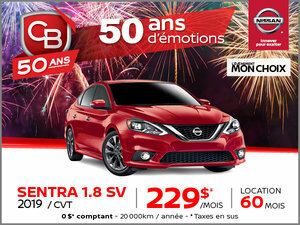 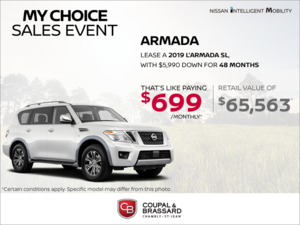 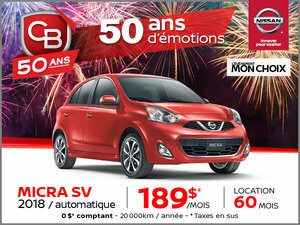 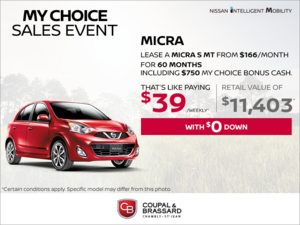 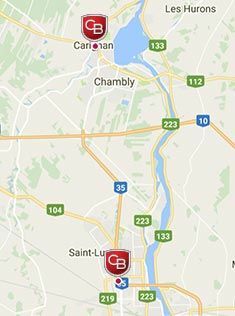 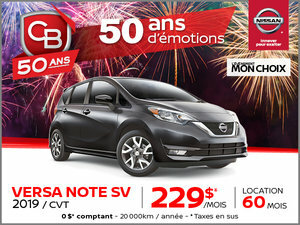 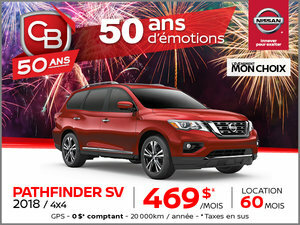 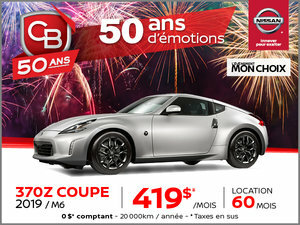 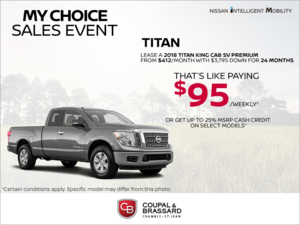 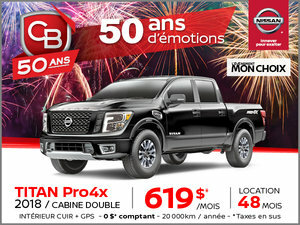 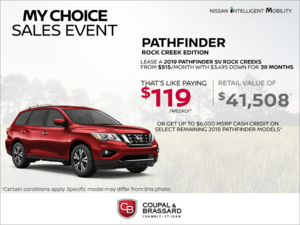 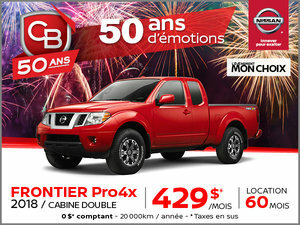 Visit www.choosenissan.ca or see your Quebec Nissan retailer for complete details. 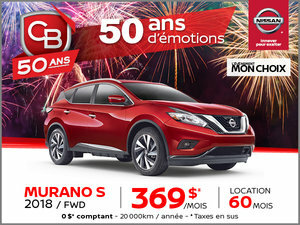 Conditions apply. 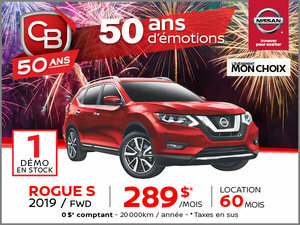 ©2019 Nissan Canada Inc.